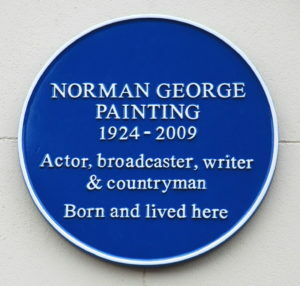 Norman Painting was born at 28 Grove Street Leamington Spa on 23 April 1924, the son of a railway signalman. He was a gifted scholar who went on to win scholarships first to Leamington College for Boys, (September 1935 – July 1938), then King Edward VI School Nuneaton, Birmingham University and ultimately Christ Church College, Oxford where he studied Anglo-Saxon poetry. He later became a tutor in Anglo-Saxon at Exeter College. However, his boyhood interest in acting, kindled at Leamington College, took him on an unexpected route, away from academic life and into radio, television, theatre, scriptwriting and producing. He appeared on radio whilst an undergraduate at Birmingham, acted with OUDS at Oxford, and thereafter was famously known for playing the role of Phil Archer of BBC Radio’s The Archers for over 50 years. He was perhaps less well-known for writing over 1200 scripts for the programme and holding the record for the longest-servingactor in a single role, which earned him a place in The Guinness Book of Records. Norman’s interests were varied. He was a talented musician: he directed opera, and for many years played the organ for Sunday Service and funerals at Warmington Church. He was an authority on Warwickshire Churches and became a Trustee and Chairman of Warwickshire & Coventry Historic Churches Trust. Norman was also a keen gardener. His garden in Warmington, which he opened regularly to the public, was full of rare trees and historic plants, including a mulberry tree planted in the 17th century, as so many were, to commemorate the restoration of Charles II. Norman placed great importance on education and wanted to engage young people’s interest in nature, and the planting and nurture of trees. His love of nature and trees led him to become a lifelong supporter and later Vice-President of The Tree Council. In this capacity Norman was instrumental in securing two acres of ground adjoining Ann Hathaway’s cottage in Shottery to be planted as The Shakespeare Tree Garden. More recently at Campion School in Leamington Spa a small woodland called “Painting’s Plantation” was funded by the Tree Council to celebrate Norman’s 80th birthday. After his death on 29 October 2009, his ashes were scattered amongst the trees in his Plantation. 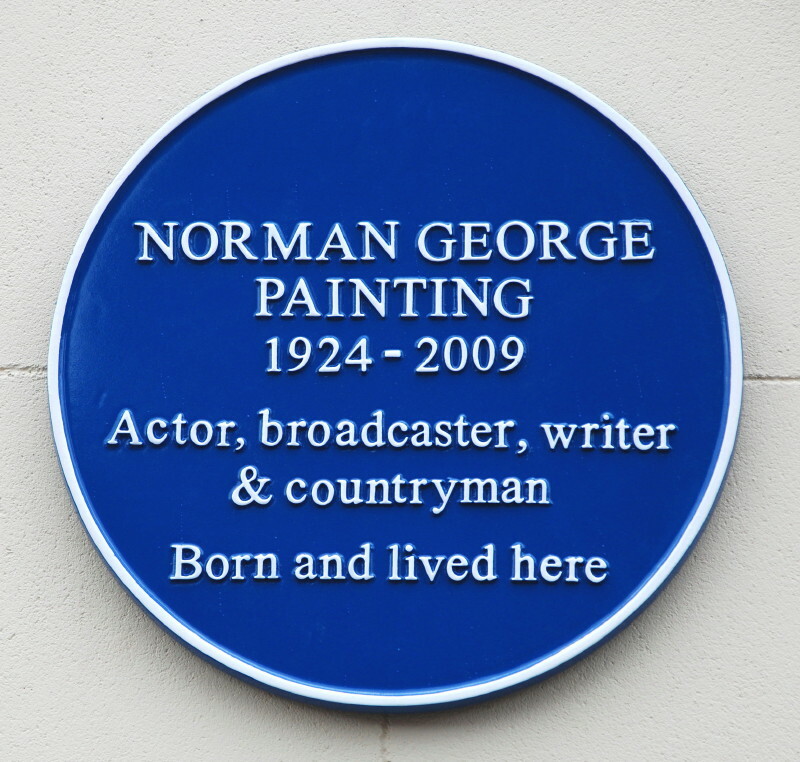 For 20 years Norman was Patron of what is now ‘Age UK Warwickshire’, where he championed the cause of older people. At numerous events over the years he helped the charity to promote awareness of its services which directly benefit older people, and left this and other local charities a substantial legacy in his will. He never forgot his roots. He was proud of his connections with Leamington College and with the town which had given him such a good start. Truly a son of Royal Leamington Spa. 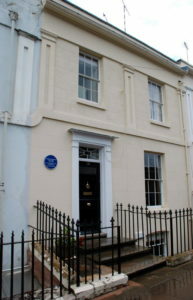 In 2011, a Blue Plaque was erected in his memory at 28 Grove Street, his boyhood home.